This is pretty much the best use of photoshop in a long while. 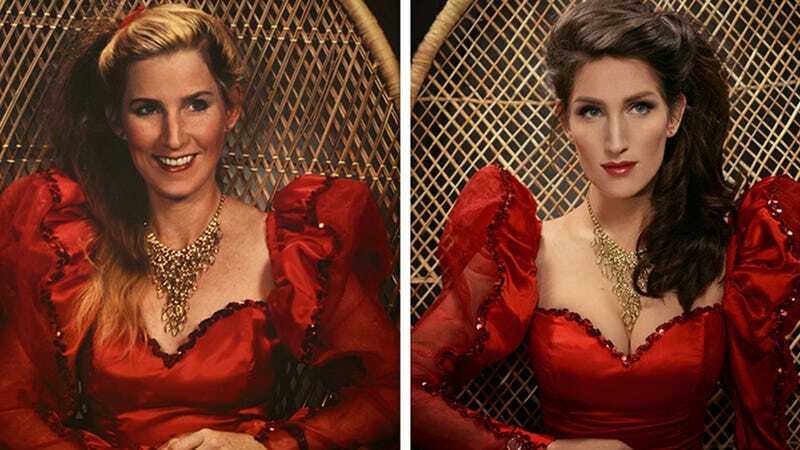 Posted to Reddit by Christine H McConnell, this series of photos depicts over two hundred years of the artist's family with the artist impersonating each member right next to the original photos. At first it's kind of confusing because you're wondering what exactly is going on in each photo, but then it's kind of awesome when you realize that McConnell has digitally inserted herself into each photo, showing how each member of the family resembles each other (dress and hairstyle along with genes) and how those resemblances have been passed down. The best look, of course, is the red dress from the late '70s/early '80s. And also the horse. That horse is legit.